A few weeks ago, we wrote a short piece on selling with pictures. 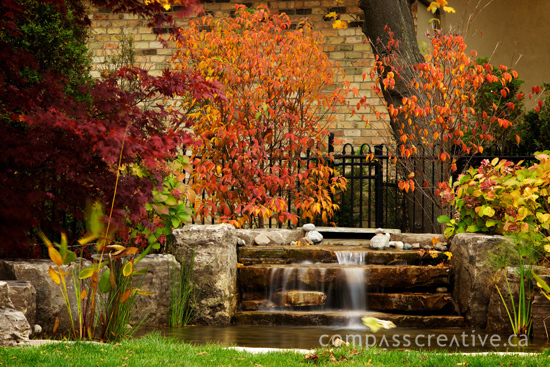 We highlighted the benefits of expanding and enhancing your portfolio with fall images. 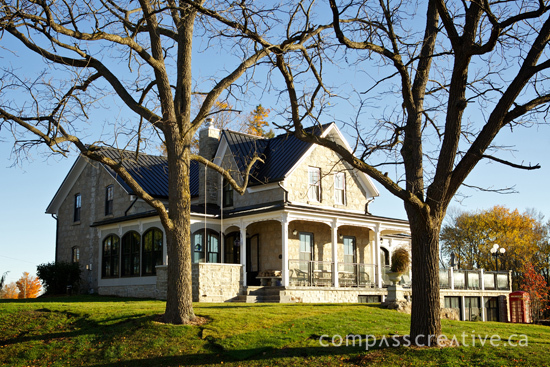 This past week we wrapped up shooting for several clients and thought we’d share some of the photos. Images taken in the fall months have a special quality – the result of a combination of a lower angle of light and a vast array of colour. Longer exposures record the leaves on the trees as colourful, impressionistic blurs and gives moving water a dream-like quality. Long shadows add depth and drama. 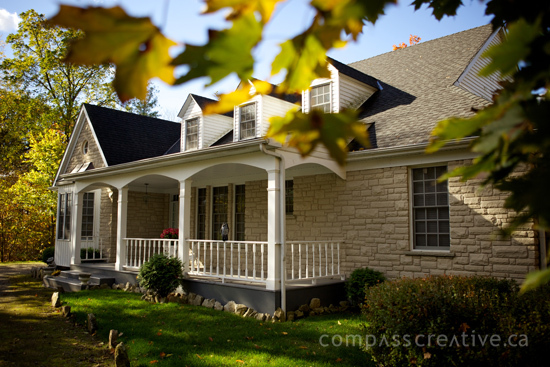 These new fall photos will add much-needed variety to our clients’ portfolios. 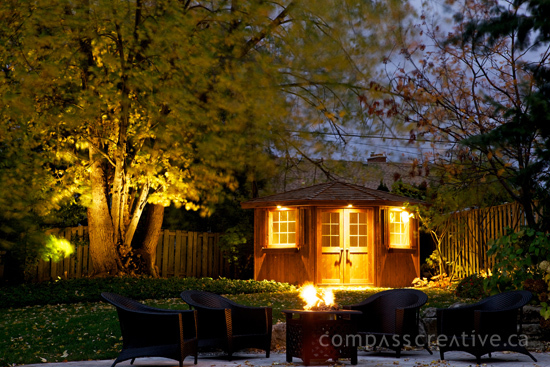 They describe to customers how their outdoor spaces can be enjoyed beyond the summer season. It’s a story about extending the return on their investment – something that is sure to resonate when it’s time for their purchasing decisions. The time to take advantage of the autumn colours may have passed for this year but you might consider winter and spring views as well. When shot properly, these can offer beautiful, inspiring perspectives, and provide opportunities for year-round marketing efforts. It’s a sure way to capture the imagination of customers looking to enjoy more outdoor living at home. Not sure where to start? Contact us today to discuss your photography schedule for the coming year. Once we’ve outlined a plan simply leave the rest to us. We’ll make sure you look your best – all year around.